Beth Ann & Jessica's Helpful Savings: Bosch Oscillating Tool Kit 62% off, just $134.99 on Amazon. Bosch Oscillating Tool Kit 62% off, just $134.99 on Amazon. 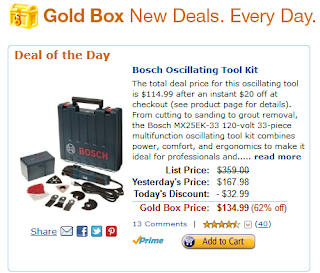 Bosch Oscillating Tool Kit 62% off, just $134.99 on Amazon. 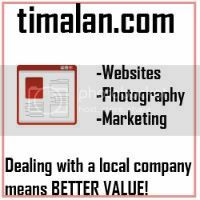 Plus, go here to see the lightning deals.